All of the spring makeup collections are beginning to trickle in and it gives me hope that spring weather will soon follow (I know, slightly delusional but I still hope). 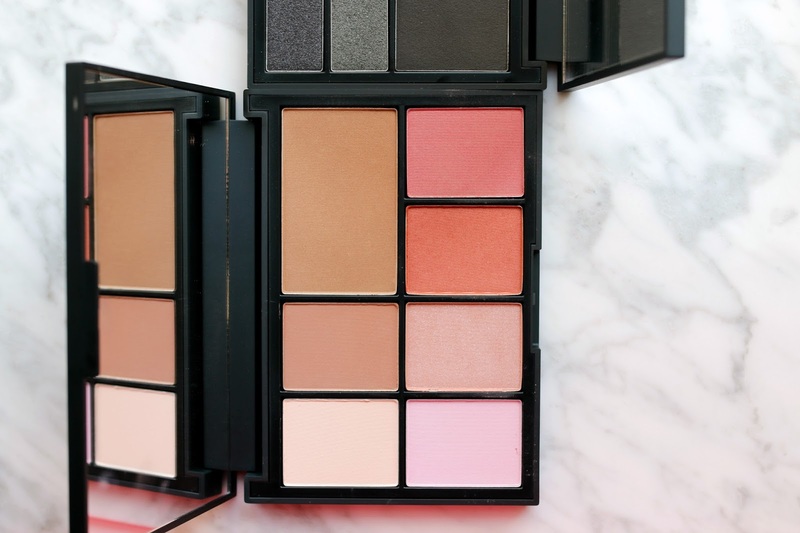 One of the first items that I have been testing out are the new NARS L'Amour Toujours Eyeshadow and Cheek palettes. 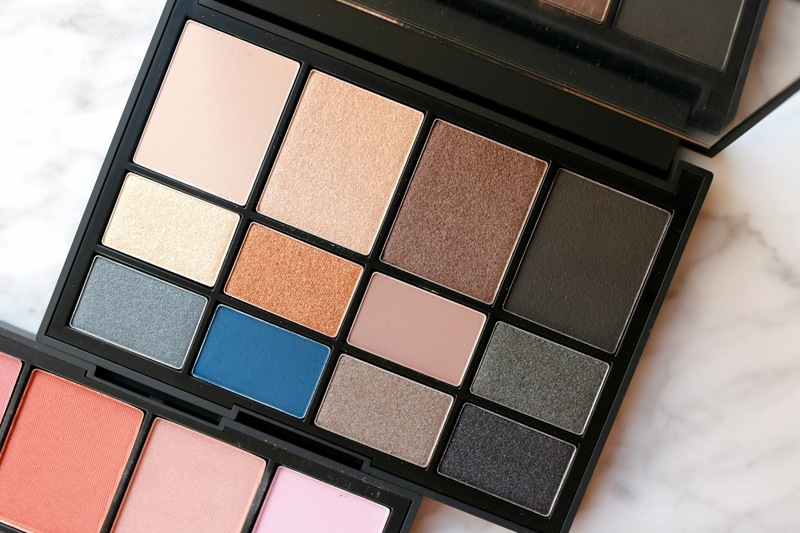 I am already a huge fan of this NARS palette, so I was excited to test out these colors and formulations. 1. NARS L'Amour Toujours Eyeshadow Palette - Just from first glance, the palette looked gorgeous and very wearable with only one wildcard color (bold turquoise), which after swatching it seemed much less crazy than in the pan. I did however anticipate the shades to be frosted and even chunky in their texture, but thankfully most of the shades were extremely buttery and had a medium intensity with regards to pigmentation. 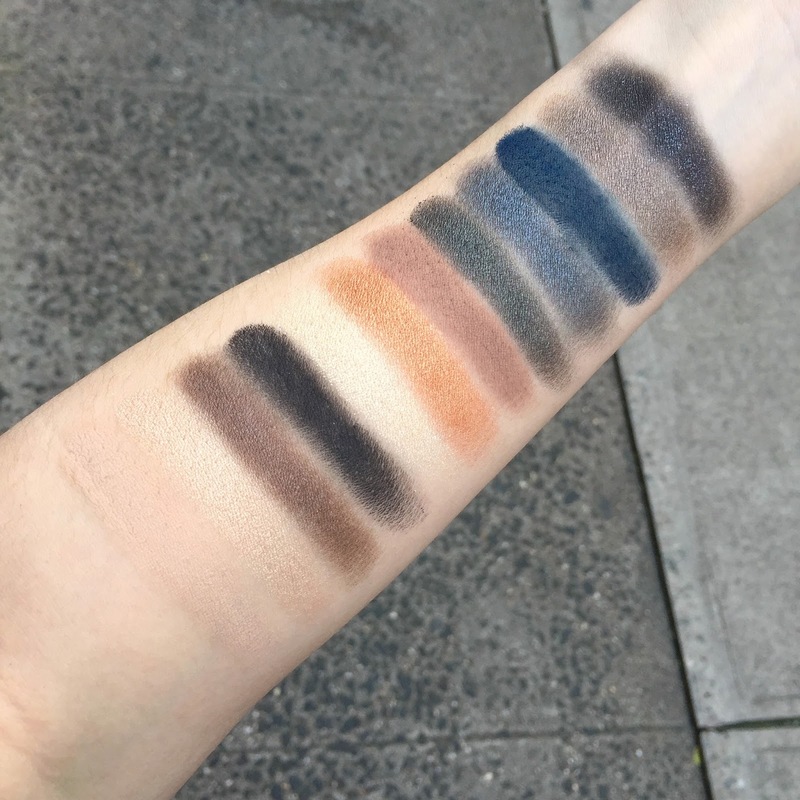 The first shade all the way to the left of my arm was the top left shade in the palette and literally disappeared into my skintone so it is a great lid and browbone highlight color for me. 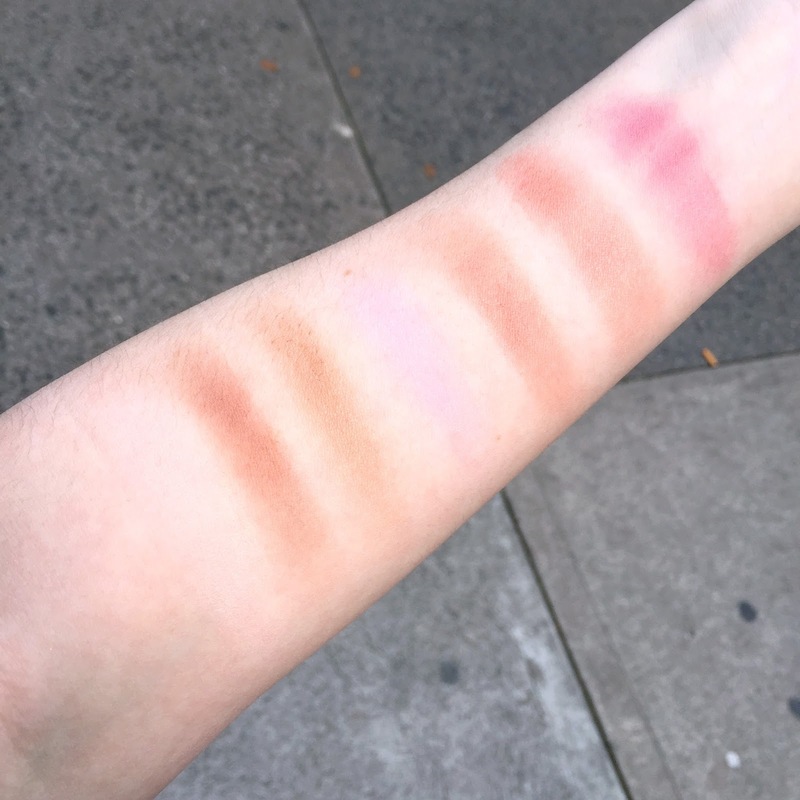 The only chunky shade in the palette was second from the left on my arm as it did take a few swipes to get a smooth application. Other than that though, the matte and shimmer shades applied very evenly and were easy to blend. There is a great variation of easy to wear shades rather than the standard brown, beige and taupe so it is a good option if you are looking to step out of your neutral comfort zone with shades that are still safe. 2. NARS L'Amour Cheek Palette - This is my first cheek palette from NARS and surprisingly I don't have that many blushes from NARS so this encompassed every shade I could want. I felt the color range was good though if it was going to be suitable for all skin tones, I would have liked to see one more very bold shade. But from a wearability standpoint, all the shades are easy to wear and would look good with an everyday makeup look. The only shade that was a bit of wildcard for me was the pale pink (fourth from the left on my swatches - the first swatch is literally the same shade as my skin). It had a ton of glitter, which is hard to see in the photo and is too pale for me. I ended up using it as an added bit of shimmer/sparkle on top of one of the more neutral shades. The first shade in the palette (far left on my arm and top left in the palette) could be a highlight for many but it blends in perfectly with my skin so I have been using it as a finishing powder over my makeup. For those that love a peachy/bronzey cheek, this is a palette that would suit you perfectly. It contains the famous Laguna bronzer and a great contour shade called Paloma (second from the left on my arm), 2 gorgeous peachy tones (2nd and 3rd shades from the right on my arm) and a more rosy shade that I like to add for just a pop of color on the apples of my cheeks (far right swatch). With the exception of the contour and highlight shades, all the colors have a bit of shimmer or sparkle but not too much in my opinion. Hopefully it travels well because I can see this being the only cheek item I would ever need on trips or vacations. 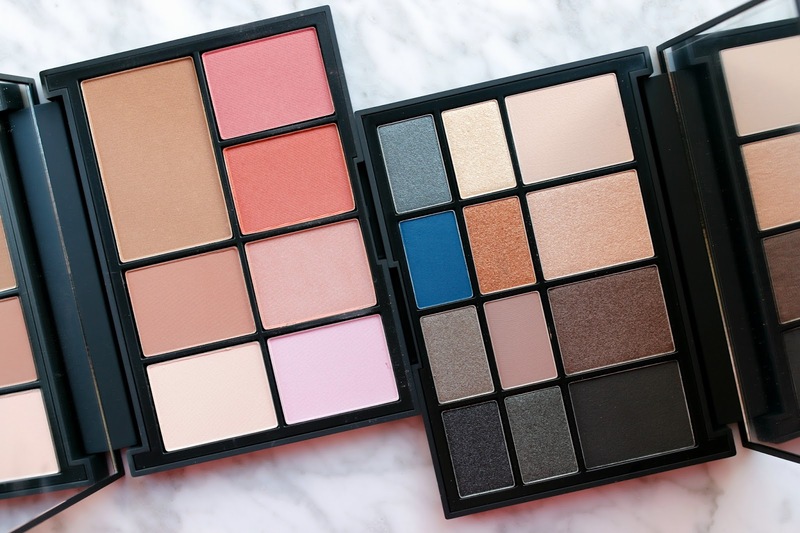 Are you planning on picking up either of these palettes? Let me know!